There's no business quite like yours. So why should your Merchant Services be the same as everyone else's? To stay competitive, you need payment solutions that connect with customers in all the new ways they expect to pay. That's where BAC Community Bank comes in. With our strategic partner Worldpay, one of the top payment processors in the nation, we work with large and small businesses to provide the latest payment technology. Reduce risk - with a comprehensive suite of advanced data security offerings that make it easier to help protect your business and your customers. Drive revenue - with business-building tools designed to nurture existing customers and attract new ones, while improving efficiency. Get more value - with a consultative payment processing analysis. In addition to a free, no-obligation quote and transparent pricing, we'll help you maximize your results with payment processing designed for your specific business. Take a look at a few of our payment offerings that help streamline your operations, and then, let's talk. Limit your fraud liability and preserve customer trust with an EMV and encryption-enabled payment terminal. Processing chip cards with an updated payment device can help protect your business by ensuring that your customers' payment cards are valid, while limiting your fraud chargeback liability and protecting sensitive card data. Accept payment cards no matter what brand your customers use. You'll have access to all the major card networks including Visa®, MasterCard®, Discover®, and American Express®. You can also process fleet and commercial cards - including Level II and Level III data transmission. Customers appreciate the simplicity and convenience of debit cards. Enable these purchases with dependable, secure debit card acceptance. With Worldpay, the largest processor of online PIN debit transactions*, you can take advantage of the expertise of a true payments leader. We give you a choice of devices, specifically suited to your needs and designed to optimize your business. You get the security, support, and versatility to accept payments, plus customizable, value-added applications that are just right for your business. Accept payments anywhere, anytime, always. Convert your mobile device or tablet into a complete point-of-sale terminal. 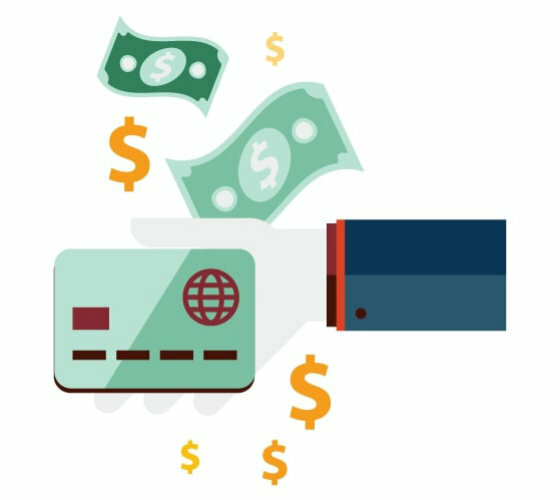 It’s perfect for businesses that want to process credit card transactions more securely, but do not have the budget for expensive hardware. Choose from several electronic check processing options that provide real-time authorizations and fewer check-processing hassles. Electronic check services can help you reduce the risk of fraud and bad checks while reducing your check processing costs and increasing back-office efficiencies. Increase sales, improve cash flow, and project your brand with our affordable gift card program. Our offering enables multiple transaction types, flexible program controls, and cardholder and merchant support features to ensure you get the most out of your gift card program. PCI Assist - Achieve and maintain PCI compliance with ease. Assistance with vulnerability scans, self-assessments, and checklists help you avoid the devastating loss of consumer trust and the financial impact associated with a data breach. Breach Assist - Limit your financial liability in the event of a data breach. Our breach protection service provides reimbursement for certain breach-related costs and includes funds for related hardware and software upgrades that may be required post-breach. Encryption - Add a solid layer of protection by encrypting data the moment it enters your system and throughout the entire transaction. Card data encryption removes card data from your network, reducing your risk of data compromise and helping you reduce the scope of your PCI compliance requirements. Tokenization - Protect card data at rest. Tokenization replaces card data with a substitute value—a token—that is useless to criminals, while enabling functions like recurring payments and tip adjustment. Have you taken your business online or are you interested in doing so in the future? Now more than ever, there are more efficient ways for businesses to sell online. We offer a variety of eCommerce technology for businesses just like yours. Manage your accounts 24-hours-a-day, seven-days-a-week with our secure, online reporting portal. It's a quick, secure, easy-to-use tool that can help you reconcile merchant accounts, respond to chargeback notices, research customer transactions, and more. Offer convenience for customers and ensure you never miss a payment with recurring payments. Recurring payments lets cardholders authorize you to periodically bill their payment card for ongoing delivery of goods and services. Support all EBT card forms - SNAP, Cash Benefit and WIC - using the same equipment and processing systems you use for credit and debit payments. Accepting EBT is convenient for you and your cardholders. Some Business transactions or services may have additional fees, please refer to the Business Deposit Accounts Fee & Information Schedule.